There can only be one legendary strike partnership at Whaddon Road – when Tony Naylor and Julian Alsop struck fear into League 2 defences during the 2001/2002 season. Bagging 44 goals between them, it was the classic big man/little man partnership, lower league target man Alsop dovetailing beautiful with the classy ex-Port Vale striker to fire us to an unlikely promotion. Oh for just one decent striker these days as we toil away at the bottom of the league! They both soon moved on and Alsop was later sacked by Oxford in one of the most bizarre dismissals in football history – please Google it! Just an idea but potentially worth an F365 top 10 of strange sackings? I missed the original mail on Striking partnerships but following on from Ohio Joe’s email, I’ve listed some that i would have love to have seen. I’ve gone with 2 up front and they would have played in the same era. Batistuta and Ronaldo (El Fenomeno) – This is my ultimate strike force – EVER! As you can guess I used to love Ch4 Football Italia too. Am I allowed the mention the ‘G’ Men – Greaves and Gilzean? I’m pretty sure that there are quite a few followers of this splendid site who whose memories are still intact enough to recall this unlikely duo. Jimmy Greaves is widely acknowledged and appreciated as a great player but Alan Gilzean was someone who looked like he had won a competition in Railway Modeller magazine to appear as a striker for a top team. Then his deft touch and glancing headers were there for all to see and the rest is history. There may be similar players to Greaves in today’s game (Aguero, Sanchez, Michael Owen etc), but the modern game has no place for players such as Alan Gilzean. I can’t think of anyone like Gilzean in the top flight but I’m sure in the lower leagues mavericks like him may well still flourish. I hope so. So what we were all fearing this season has at last come to pass. The defeat that truly highlights the underlying deficiencies hidden behind the positive results this season. I will not prattle on too long about how I saw it all coming, because that would be lies, but I was certainly aware that the results this season were not necessarily representative of the performances on the pitch. 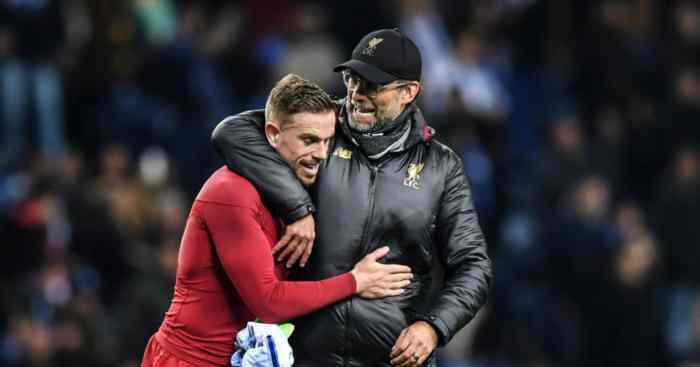 Liverpool started this season with positive feelings of an improved squad, clearly increased depth, and a feeling that on our day we could match the very best across Europe. Many supporters viewed last seasons thin squad as a major cause of inconsistent results, the apparent improvement in that area during the summer meaning there was tentative belief that a title challenge might be possible, but certainly we would have improved chances in the cup competitions. And if we look solely at results, those beliefs would largely seem vindicated. We are off to a record breaking start in the league and despite the appalling result last night, still in with a reasonable shout of advancement in the Champions League. We did crash out of the League Cup at the first stage but taking on Chelsea was always going to be difficult. Again at the start of the season you tend to put these issues down to perhaps form, or even rustiness, and as we all know, football is a results business, so ultimately how much concern should be placed upon style? The problem was the pattern did not stop. 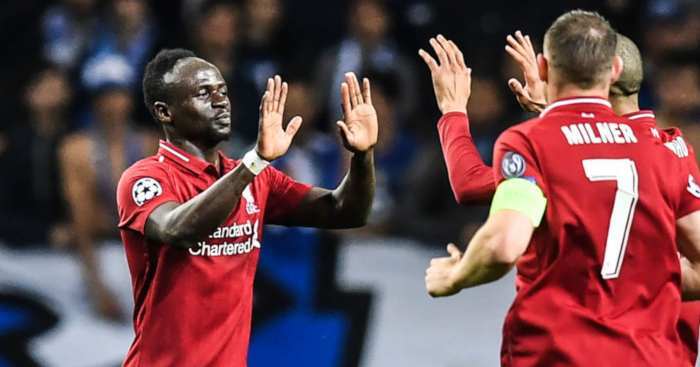 Another extremely tight game against Brighton where Liverpool went 1-0 in the 23rd minute ended with victory but a feeling Liverpool were struggling to click. Then came Leicester, and the moment alarm bells really started to ring. Leicester outplayed us. Let no one tell you any different. They had more possession, better chances and continuously looked dangerous on the ball. We got a completely underserved win based on clinical finishing, a good defence and most of the breaks in the game. I had never before seen a team come up against Klopp’s Liverpool, and with weaker players, play us off the park. This time there was no ‘when we get the lead we will punish them’ instead it was hold on to what we have and just get the result. And we did. Which went along way to alleviating the growing fear that this seasons good results were built on a poor foundation. 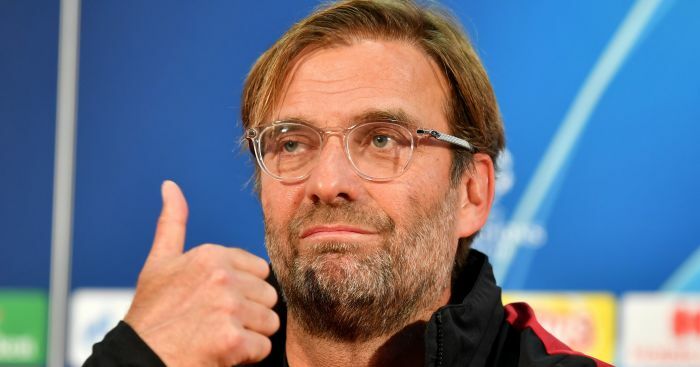 I still worried about the form and even got halfway through writing an email discussing those concerns, but bottled it when the voice in my head said ‘Liverpool will click and you’ll look the fool’. Of course, to an extent that happened. Liverpool had their best game of the season beating Spurs away, then beat PSG and Saints at home. Everything looked rosy, performances had picked up and Liverpool were hitting decent form just when a difficult run of games awaited us. The 9 games since reads: W3 D3 L3. Not great. Especially considering that run included Huddersfield, Cardiff and Belgrade twice. The reasons behind the breakdown in our effectiveness going forward are probably pretty complex. 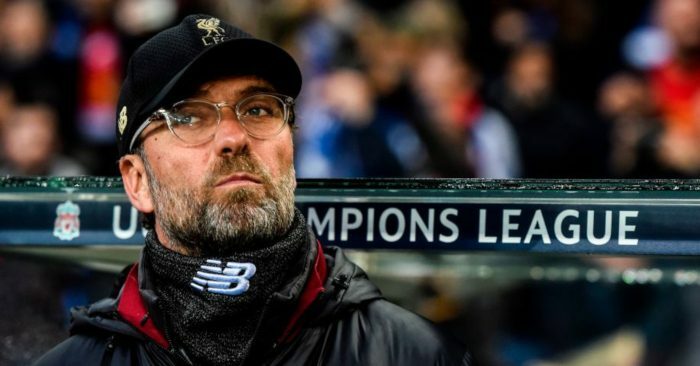 Rarely does any one thing have such a drastic effect on performance, yet from having watched a lot of Liverpool over the last few years and now in to this season there are a few things which I think are affecting the team. Teams have worked us out. Obviously, there are sensible ways of playing most teams. Cardiff have a potent aerial threat so conceding free-kicks in your own half is silly. City are too good technically to fanny about trying to dominate possession against. However, knowing what a teams strengths and weaknesses are and being able to effectively counter those is pretty hard. Yet, it feels teams have worked Liverpools strengths out very well. They will sit deep, break up counter-attacks with cheap fouls, stay narrow against our tight front 3 and increasingly they know where to press us; In our narrow midfield. Liverpool’s press. We have changed our attacking press so as to make it harder to predict, but also to retain energy for the full 90 minutes. It also allows us to be more compact and requires teams to work harder to create clean chances. Formerly, against our all-action press, beating it would allow teams to break in to open space and see our defence running backward. Too easily Liverpool conceded good chances through effective passing around its press. The problem with this change is the reduction in winning the ball in dangerous areas. Liverpool scored a lot of goals from its attackers stealing the ball high and using the space to punish the opposition, accordingly that has decreased. Fluency in the midfield. Last season Liverpool had the majestic talent of Coutinho in the first half of the season. And then had the attacking pace of Oxlaide-Chamberlain in the second half. This gave Liverpool offensive mindedness in the middle three, someone who was always looking to move the team forward. This season we have gone for the pragmatic Milner/Wijnaldum/Fabinho/Henderson combinations. We have had Keita occasionally as well but mostly 3 of those 4 will play. This has had 2 effects. Firstly the team is much more difficult to break down as those players have high energy, tactical awareness and defensive resilience. The second effect is a somewhat formulaic approach, often sideways passing and lack of finesse and flair creatively. These are always trade-offs, the problem is that I think the balance is too eschewed toward defensive structure which is affecting our attacking fluency. So what do we do? Firstly trust Klopp. He is an intelligent individual who has either spotted these problems and is working on alleviating them, or does not have the same concerns which means everything I just wrote is a load of hogwash. He knows the players, knows the training and is perfectly positioned to make changes. That doesn’t mean things will suddenly start improving but over time we will start moving in the right direction. Liverpool have been, and still are, a work in progress, lets just see what the next 9 games gives us. Big problem last night and throughout the season up to now. 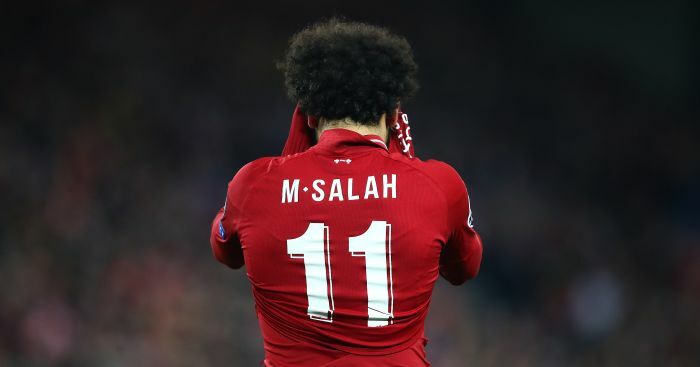 Salah – the guy needs to be dropped for 2-3 games. End of. His passing is abysmal (lost the ball 5 times in first half attempting simple 5-10 yard balls), he has suddenly forgot how to dribble and compared to last season when he was making penetrating runs, now he just stands around on the edge of the penalty area, lack of movement and no conviction is his play. It’s embarassing to watch and is massively affecting the team. He then needs to watch games from last season where he was playing wide and dragging defences all over. Klopp – Abysmal rotation yesterday, Belgrade away is a far bigger game than Fulham at home, full strength team was needed, End of. That was the common sense decision so what was Klopp thinking. Agree with previous posters, stop d**king about rotating half the team for crucial games, the variation in skill level is huge and we dont have a like for like replacement still. Lallana – simply out he should be sold or sent on loan. He has never been an effective player, doesn’t get assists, doesn’t get goals, too weak in a tackle, what does he actually do? Chelsea are looking strong and the quality of their football is better than ours, I think it’s a battle for 3rd/4th at the moment at best. Klopp needs to get back to what is natural to him, especially now he has a defense that is twice as good as the last few years. Very disappointed he didn’t play Shaq, he is a grown up lad and can handle himself, actually needed some of that passion on the pitch yesterday. I hope it’s a huge wake up call – lets hope they learn and react. First time mailer, the pessimism from fellow Liverpool fans has pushed me to it. Sure we didn’t win a football match last night against a team that we should have beaten but that does occasionally happen in football. Had DS put that ball in the net early on we’d have had our tails up and could have cruised it, instead a mistake was made which believe it or not happens and we went behind. I’m not convinced a bulldozer could have broken the Serbian wall once they had a lead but we actually gave it a good go, creating some decent chances without any luck. Yes our front line aren’t scoring as many goals as they did last year but it’s really not all that bad. We are still level top of our champion’s league group and once we beat Napoli in fortress ainfield it’s all in our hands again, if we don’t proceed though it wouldn’t be the worst scenario either. I’m lucky enough to have watched Liverpool play in 3 champion’s league finals, winning one. It takes a lot out the squad playing twice a week and we can see guys like Mane, Salah, Firminho are struggling for form and fitness after the long summer. Should we end up in the Europa League, another competition we’ve a history of reaching the final (and winning) then it would be a great opportunity for guys like lallana and sturridge that desperately need minutes to play without the weight of expectation on their shoulder’s (these guys have been bloody good for us during the couple of years and to read ‘supporters’ describe guys of their quality coming back from lengthy injuries as ‘porridge’ is stunning). Need I remind you that we’re not Chelsea or City fans, we have a strong history of actually supporting our players/managers when they’re down, not taking cheap shots at them. We’ve had the best league start that I can remember and have got through a run of tough fixtures unbeaten without dropping points only to Aresenal, Chelsea and City. For younger fans, I might remind you that it’s not normal to score 6 goals every week, United and Chelsea have been winning titles for years winning 1-0 every week. We’ve only been in the CL 3 times in the last 11 years, finishing 8th was tough, finishing behind Everton was tough, the hard times are behind us. Utd of late have faced criticism for their effort and energy more than results, that’s not the case with Liverpool, we been trying hard and actually getting results for the most part. Can we please come together lads and actually support the team we follow rather than point out obvious things that our team are struggling with and demand better from guys that go out and give 100% for the team every week. Keep the faith, stay positive, if we can even be involved in a title race come March/April there is no better buzz, even winning the CL, I promise. Geez – pump your brakes Liverpool fans. You haven’t suddenly become rubbish – yesterday was merely a hangover from the weekend’s Emirates encounter. Given a full week’s rest, we would have beaten Palace the other week, but European football in the week meant the boys couldn’t hold out for three points. This does all underline the importance on pressures being reduced on teams representing England in European competitions. 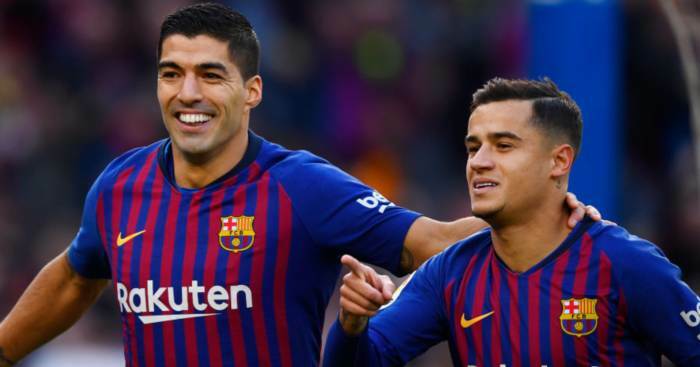 Arsenal were expected to travel to Lisbon on the Thursday and then take on Palace in the early morning kick off rather later in the day, while Liverpool played out a hard-fought draw ahead of their match this week. Something has to give – the players aren’t robots – it’s their mental as well as physical state at risk here too. I know I sound like a broken record with this but I really do think the Champions League should just revert back to the European Cup format – no meaningless matches, more excitement with the risk you could go at any point, greater chances minnows could deliver an upset, but more importantly less of a workload for the players and management. Your players gave everything at the Emirates – how about giving them a break – eh Liverpool fans? 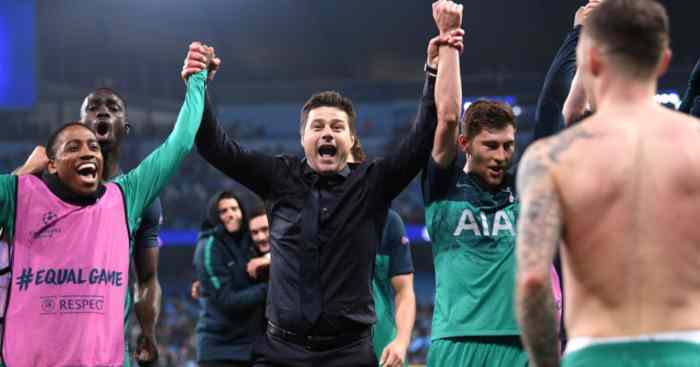 “Now that Spurs are embarrassing themselves every year (and not even against actual elite opponents or tournament winners)….what exactly is the point of Spurs in Europe …? Shall you tell him, or shall i? Last year we drew away to the prior year’s finalists Juve, and narrowly lost over both legs. We drew away, and won at home (3-1…convincingly) against the prior year’s Champions and eventual winners, Real, after finishing top of our “group of death”. Hardly “embarrassing” ourselves every year, in the oh so extended three years we’ve been in the Champions League. This year we’ve thrown away wins in the last five minutes against Inter (who drew last night with Barca) and PSV – mainly because our squad is knackered, threadbare from injuries and Danny Levy has deep pockets and very short arms. Feel free to come back when we spend as much as Arsenal and lose in double digits on aggregate to either of those teams you mentioned, but at least check your facts first. I’ve had a 2 or 3 year hiatus from F365’s mailbox. It’s been wonderful. Having recently checked back in, I noticed it being considerably shorter which you would think improve quality. Alas our old friend Graham Simons, Gooner, Norf London is still spouting his personal form of BS and quite unfathomably being regularly printed. Below are quotes from previous mails (lifted from a very quick google search) regarding Arsene Wenger. In the grand scheme of things – this actually hasn’t been a bad transfer window. We’ve got rid of lots of deadwood. We have a beast at left back if that idiot actually plays him there and we finally have a proper striker – again if that idiot actually plays him. If you really want to play Barca and have a chance – don’t have a manager that concedes they’re better than us. Of course, Graham would have this idiot as he calls him, foisted upon an unsuspecting Fulham with their lovely little stadium and nice bunch of fans and the reason being to stuff local rivals Chelsea (6 English League titles, one Champions league post war) when they meet. A piece of advice would be to just let Arsene go. We all loved laughing at you and the likes of Arsenal fan TV when you guys hated him still being in charge. For your own sake, move on.